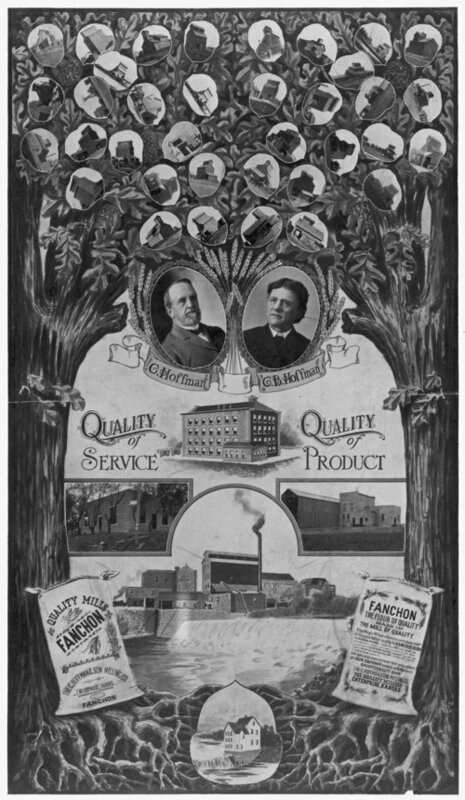 This black and white photograph shows an advertisement depicting a family tree for the Hoffman mill in Enterprise, Kansas. The branches from the tree show images of grain elevators and the owners Christian Hoffman and his son Christian B. Hoffman. In the lower portion of the advertisement images of mills and illustrations of sacks of flour labeled "Fanchon" are visible.